Thursday night we’re going to see a quite interesting clash between Poland and Portugal within the UEFA Nations League. Contrary to the expectations of many experts, Poland frankly failed the past Mundial in Russia, being the last in their group and showing a terrible level of football. Needless to say, such a failure led to the head coach resignation. Jerzy Brzeczek was appointed to replace Adam Nawalka. Under his guidance, the squad has already played two games, but they also ended not in favor of the ‘white-red’. The team lost points in the battle with Italy (1:1) in the first round of the Nations League and then played a friendly match with Ireland with the same score. Herewith, the game itself caused a mixed impression. The national team is not a favorite in the upcoming match. But they are not considered by bookmakers as obvious outsiders as well. In many ways, this is due to the fact that Poles act much better at their native stadium. Unlike the closest rival, Portugal managed to reach the 1/8 final of the past World Cup. However, it is worth noting that the Portuguese were initially not in the most difficult group. Portugal lost to Uruguay (2:1) at the 1/8 final stage and left the tournament ahead of schedule. However, even after such not the most outstanding performance Fernando Santos continued to coach Portuguese. Portugal team also held two matches before the upcoming battle: one friendly game with the Croatian team (1:1) and the second one with Italy within the UEFA Nations League (1:0). 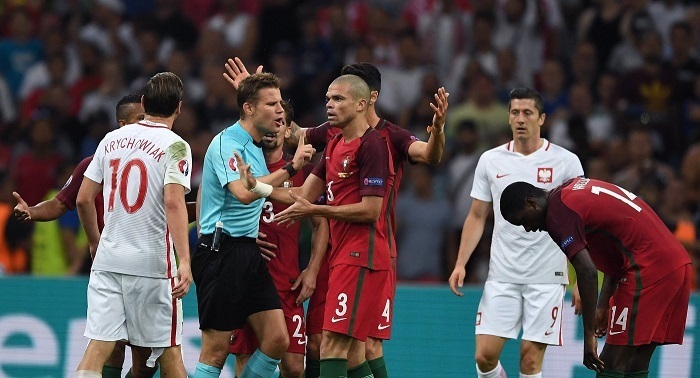 Right before meeting with Poland, Fernando Santos has one tangible personnel problem – he still cannot hope to Cristiano Ronaldo, who asked not to call him to the national team until the end of the year. Based on the recent match with Italy, although the Portuguese have considerably weakened attacking position due to the absence of their leader, they are still able to attain victories without Ronaldo. Less than three goals were scored in the last two head-to-head meetings. The attacking leaders of Poland national team are not in the best shape, so the team scores a little. The Portuguese never been a team that scores a lot. Now their attacking skills are further weakened by Cristiano Ronaldo’s absence. Most likely, we’re awaiting a really interesting confrontation, but without numerous goals scored. The expected result is a draw (1:1).